On double hung windows both sash in the window frame are operable, meaning they move up and down. The sashes on a double hung window also tilt in for easy cleaning. The double hung has two operating sashes — movable parts that slide vertically up and down, held in place by a window frame. The sashes tilting for easy cleaning. 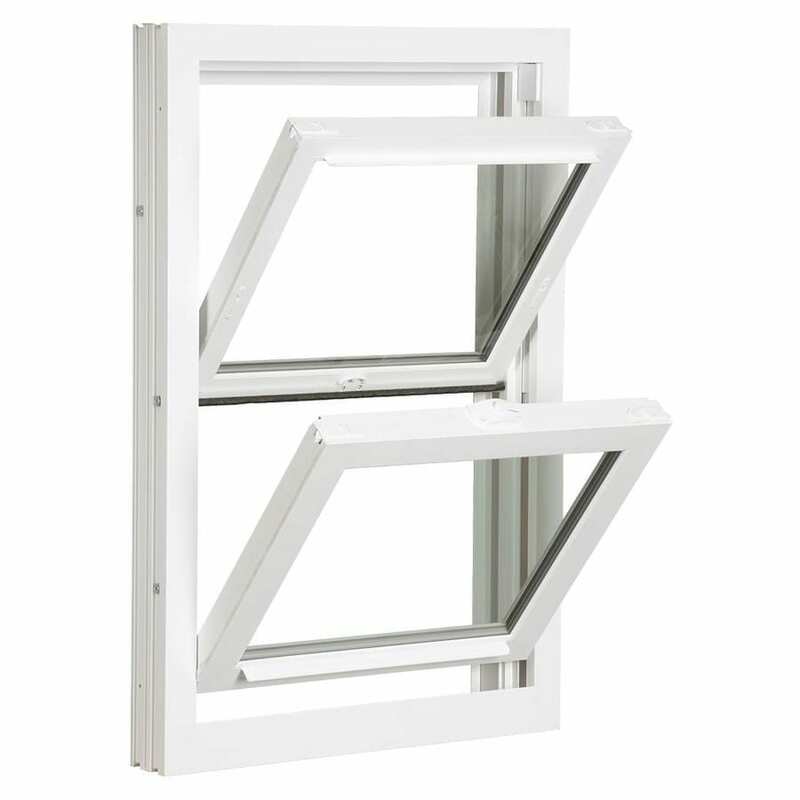 Double-hung windows offer the ability to open both sashes, allowing good air flow. Double Hung windows are usually made of wood, vinyl, aluminum or and composite. The most energy-efficient and maintenance-free choices are vinyl windows and composite windows. Some of the most important considerations that add value to double-hung windows are: if they incorporate Low–E glass and achieve low U-value ratings; whether they are Energy Star certified; what type of air infiltration and Design Pressure (DP) ratings they achieve; and whether they are Gold Labeled by AAMA. Double-strength glass, triple-plane-glass, and laminated glass are all features that will help with sound transmission – keeping exterior noises out of your home. Additional features to look for are: high-performance glass systems with Super Spacer or Stainless Steel Intercept; reinforced meeting rails; air and water barriers built into the sill design; and sleek-looking locks. Double-hung windows also come with half and full screen options. Double Hung windows are available for both replacement window and new construction window applications — with nailing fins and J-channel for siding, brick and stone installations. Impact windows are available in the double hung window style for areas that require hurricane windows. Overall, vinyl double-hung windows have the ability to retain their beauty, continue to offer thermal efficiency benefits, and last generations with minimal maintenance.